The territories are huge. But so are also the number of reindeer. According to the authorities in the Yamal-Nenets Autonomous Okrug, there are now more than 700,000 reindeer on the regional tundra. That is an increase of about 200,000 animals in 15 years. According to figures from the Russian Statistical Service, there were 504,000 reindeer in the region in year 2000. In addition comes an increase also in the neighboring Nenets Autonomous Okrug, where the total number of animals now is estimated to 192,000, regional authorities say. 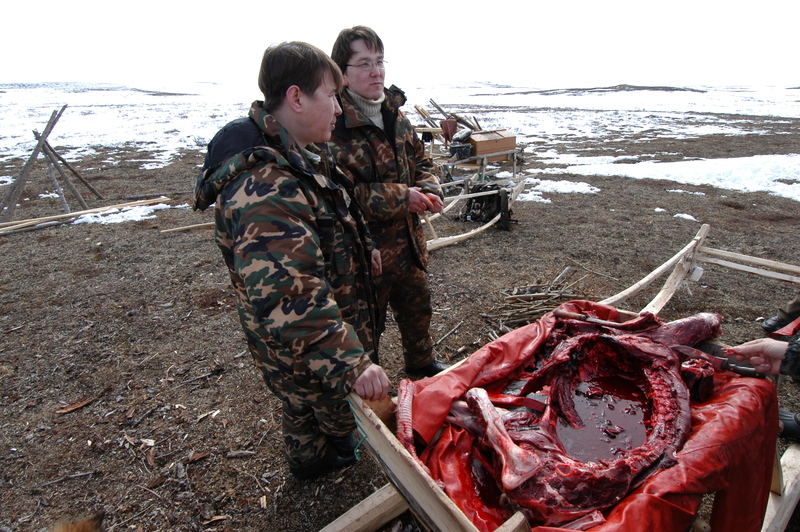 In 2000, the number of reindeer in the Nenets AO totaled about 122,000. In the Yamal-Nenets region, as many as 110,000 calves were born this year. At the same time, about 70,000 animals are up for slaughter. That will give regional reindeer herders and their local industries about 2,500 tons of environmentally friendly and clean meat, the regional government informs. The Yamal-Nenets AO is believed to house 50 percent of the Russian reindeer population and about 35 of the world’s total. In Norway, the number of reindeer move in the opposite direction. According to the country’s Agricultural Agency, there is now a total reindeer population of 211,600. Of them, 145,795 live in the northernmost county of Finnmark. That is the lowest number in more than ten years.